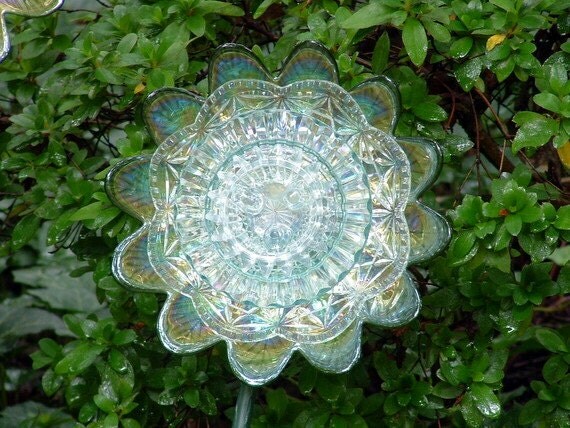 This lovely flower is made with four pieces of re-purposed glass. The outer piece is incredibly iridescent and reflects the light like the aurora borealis. One of the inner parts is a pale aqua blue. You can see how brilliantly it reflects the sunlight. Is lovely as a candle holder when back connection is removed. Measures 8" diameter x 2.5" in height.